When the word “spelling” is mentioned in a classroom or during a homeschool lesson, more times than none, the students are not necessarily jumping up and down for joy. As a student, my memories of spelling activities were to receive a list of words on Monday morning, copy our spelling words somewhere between five to 10 times each throughout the week, memorize them, and culminate our week with a Friday spelling test. Copy. Memorize. Test. Repeat. Then the process repeats each week with a new set of words. Although many of us learned to spell a fair amount of words, it wasn’t necessarily the most exciting process. But not everyone learns this way. If it isn’t enjoyable, it can also become a tedious process. Fortunately, learning to spell doesn’t have to always be this dry. 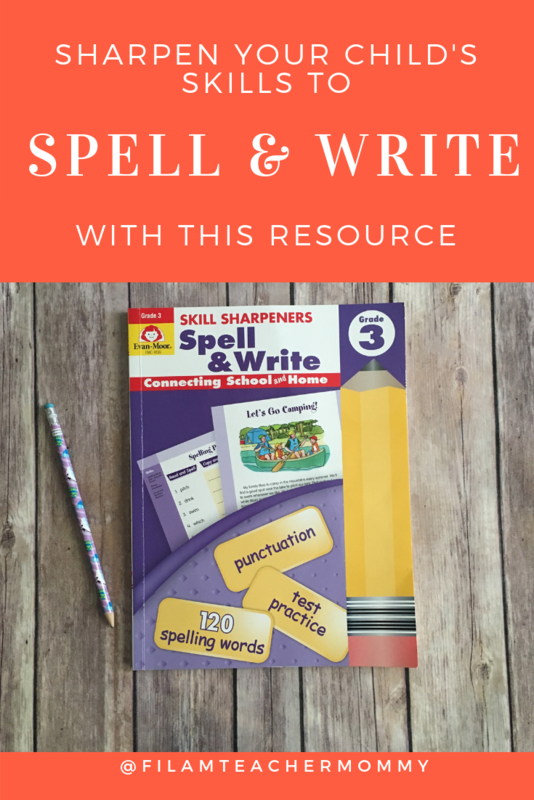 We recently have implemented and reviewed the Evan-Moor Skill Sharpeners: Spell & Write, Grade 3 – Activity Book . It is a workbook filled with activities for students to strengthen and practice their spelling and writing skills. There are 12 units of 10 spelling words each woven in engaging short stories. Each story has grade-appropriate content and language. The spelling words for each unit are found within the story. So children are not just learning and memorizing spelling words in isolation, but they are learning the spelling words within the context of a story. This makes it more meaningful and easier to interact with. The unit wraps up with a brief assessment to test their understanding of the grammar, punctuation, and spelling skills that were covered in the unit. 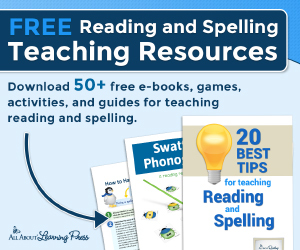 We like that the spelling activities go beyond copying spelling words five times each. 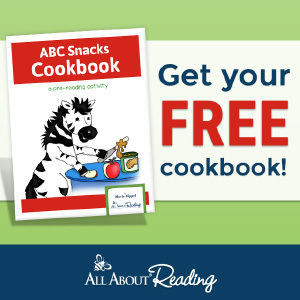 The activities in this workbook are much more than copy and repeat. It starts off with the student first reading the unit story and searching for the words in the story. It reminded us of a “seek-and-find” activity, which my kids love to do! When it is presented in that matter, it makes it more fun and my daughter was motivated to check off the words as she found them. In doing so, it also allows the child to focus on the letters of each word. They are already internalizing the spelling of the word in this introductory activity. The next activity is to copy the spelling words a couple of times. The connection is made stronger with the act of writing down the words. The workbook includes several kinds of writing activities to apply the words in a context that brings the child’s personal experience into it. For example, in the “Sports, Sports, Sports” unit, the writing activity asks the child to write about their favorite sport or activities that allow them to write about their favorite recipe or write a letter to a friend incorporating the spelling word list. Another fun example is the writing activity that asks the student if they found a mystery map, where would he or she want it to lead and what treasure would they like to find. There are also enjoyable puzzle type activities such as crosswords, word searches, or acrostic poems. There are so many ways to apply their spelling words. 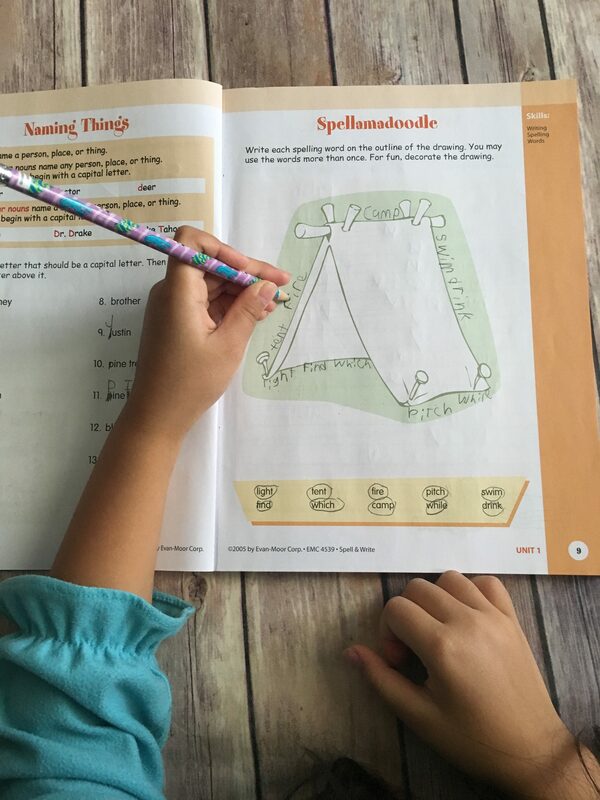 Each unit includes a “Spellamadoodle” activity where the student is asked to write the spelling words around an image that goes with the story. This is a unique way to practice writing the spelling words. Instead of just writing the spelling words in straight lines on a lined piece of paper, the student gets to write it in the outline of a sailboat for example. The act of practicing to write the spelling words correctly is still being done, but in a different technique. The activities also go beyond just memorizing the spelling of words, but also go into the meaning of the words. The writing activities like narratives and poems, crossword puzzles, or matching questions where the child applies their comprehension of the word’s meaning. Thus, the activities help children to sharpen their use of context clues to determine the meaning of the words. 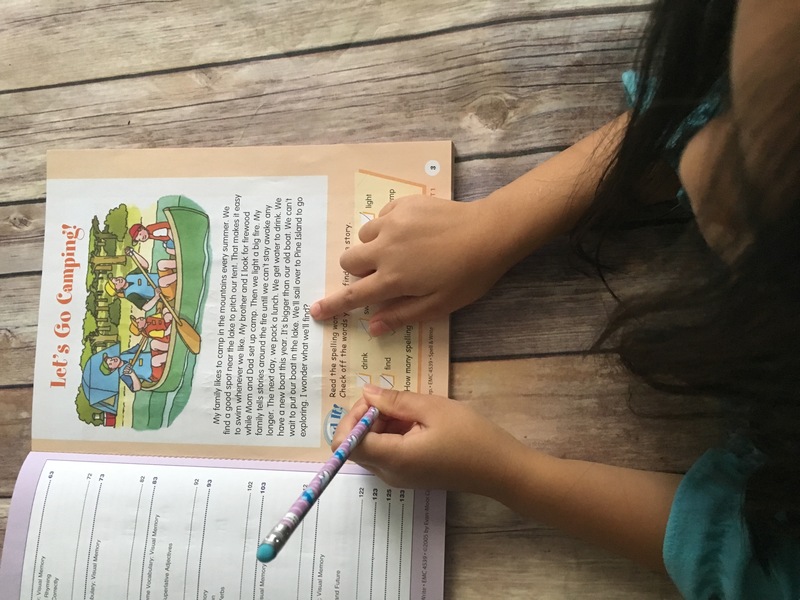 The third-grade book included a wide range of grammar skills including capitalization, pronouns, subjects and predicates, apostrophes, adjectives, and verb tenses. Content is number one as a priority in selecting curriculum and resources. But extra organizational elements also helo make life easier. For example, I like how the stories are color-coded, so we can quickly see all of the activities that go together for each story. The margins list the skills that are worked on so it is quick for the teacher and/or parent to see what type of language arts skill is being applied. At the end of the book are pull-out spelling lists from the stories. It is a good visual to put on the refrigerator, on in the student’s planner, or to take on the go to practice their spelling words. The back of the book has an answer key as a quick reference for the teacher or adult. There is also a record form for the teacher or parent to keep track of how many points the student earned in both grammar skills and spelling skills. 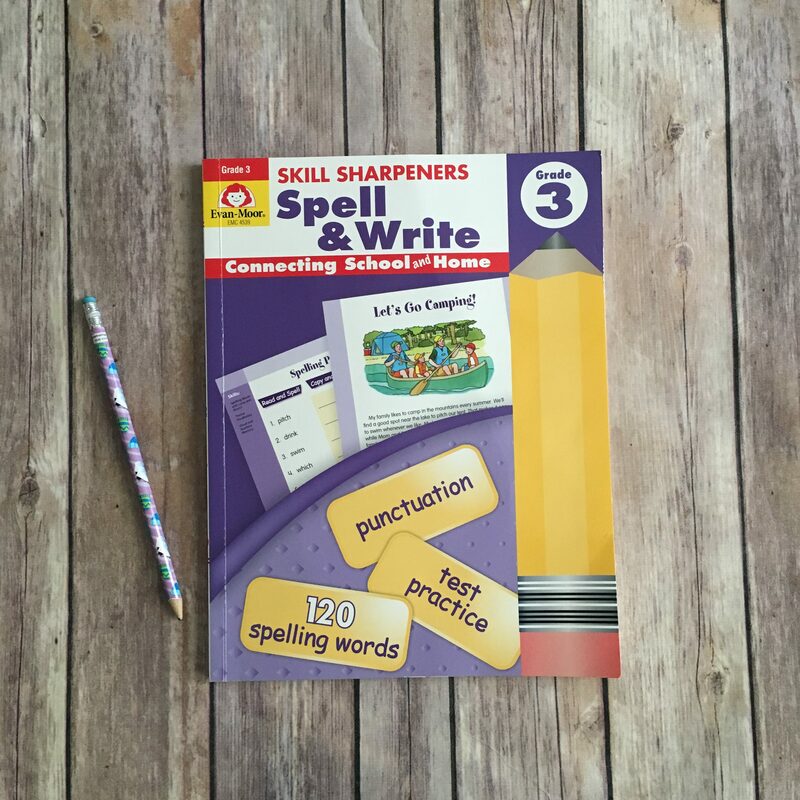 The Evan Moor Skill Sharpeners: Spell & Write, Grade 3 – Activity Book is a wonderful spelling and writing workbook to have for homeschoolers and classroom students alike. The pages are colorful, neatly organized, and easy to follow. I supported my daughter as she first got started, and once she was comfortable with the routine of the activities, she was able to work independently on the activities. 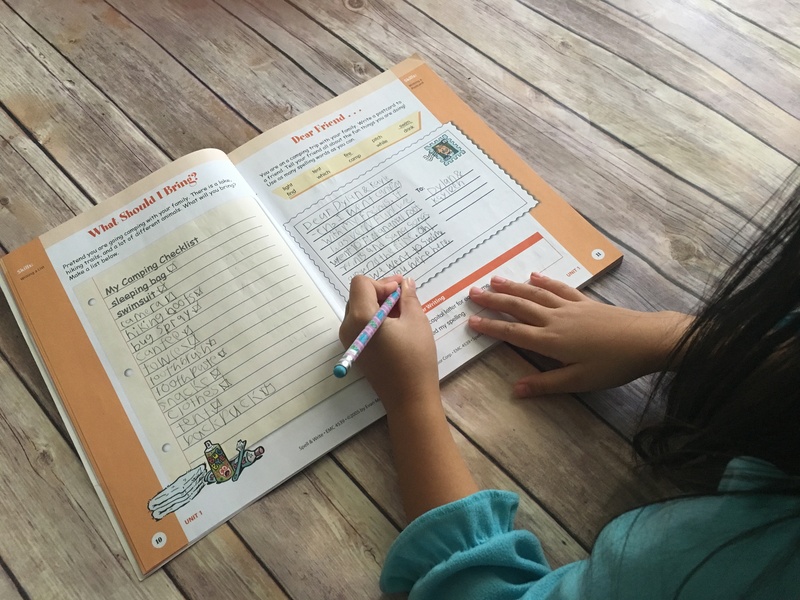 This was a perfect workbook to practice and strengthen her spelling and grammar skills. 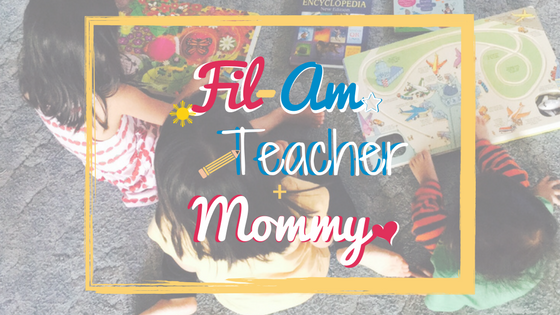 It works well for homeschool, for the classroom, and for homework use. My daughter really buried her nose in this book. I asked her to do a page or two a day to spread the unit throughout the week. The next thing I know, she completed most of the unit in one sitting. Although ideally, it would be good for her to spread it out to really internalize the words, when I saw this, I didn’t stop her at first since she was so motivated to move forward. The fact that she took initiative and did not want to stop says a lot about how she feels about this book.